It was an interesting fight. 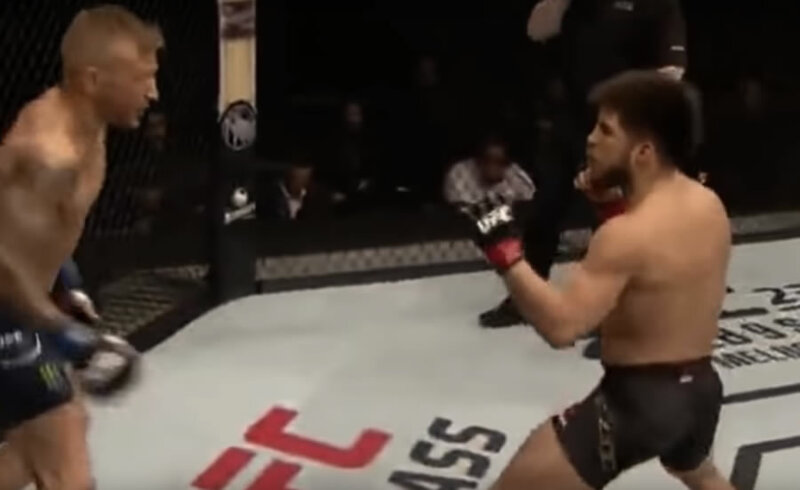 I was leaning towards Dillishaw’s deadly hands being the deciding factor, with Cejudo’s only real chance being to outwrestle him for the majority of the fight. I was absolutely NOT prepared for this outcome. Some thoughts. I don’t see any way around this. These are two world-class fighters in a somewhat historic fight, not two amateurs. That’s as far as I’ll go. I’m not in the refs shoes and under pressure to make split-second decisions. I’m guessing this ref is regretting not letting it go at least another couple of seconds. That said, I don’t think it would have changed the outcome of the fight. Dillishaw has made his case. claiming that he was more rocked in his first fight against Garbrandt. That may be true, but he was likely saved by the bell in that one. I don’t think he would have made it out of the first round had that bombshell connected say, 10 seconds earlier. I suspect that what we’re seeing here is a quickly-evolving Cejudo. Perhaps his stand up really HAS improved by leaps and bounds over the last year or two. He’s an Olympic champion in what I firmly believe is the world’s most difficult sport, wrestling. The sheer will power and work ethic of such a person does suggest that we would see someone like this improve at rates we don’t see with other, even top MMA fighters. Maybe I’m off my rocker. Time will tell. I’d personally like to see him fight Benavidez or Johnson again.